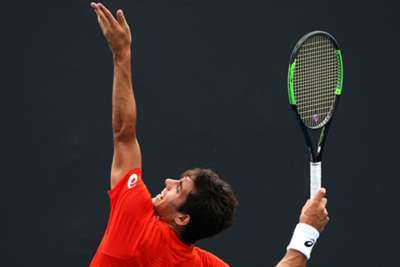 Christian Garin overcame eighth seed Sam Querrey in straight sets on Saturday to reach the final of the US Men's Clay Court Championships in Houston, where he will face Casper Ruud. "The conditions today were slow and windy, which is really good for me," said Garin after reaching his second clay-court final of 2019. "I was really focused in the second set and I think he was a bit tired in the end, but I'm playing really well." Norway's Ruud will be contesting his first final at Tour-level after accounting for Colombian Daniel Elahi Galan 7-5 6-2 in the other semi-final.